Our Swimming Classes in Lagos offers a full range of Swimming Lesson for Adult and Children all around Lagos Nigeria. We have over 15 years’ experience in teaching Adult to swim and Kiddies swimming classes in Nigeria. 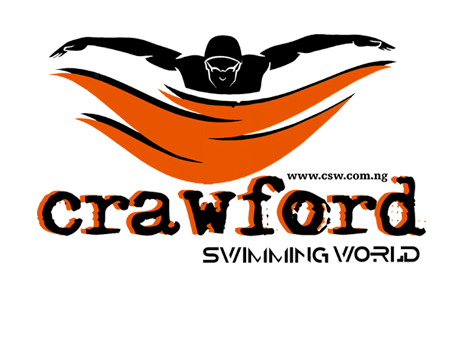 Crawford Swim World Ltd is an assemblage of dedicated, experienced and qualified Swimming Coaches and Instructors. We teach the Swim classes at very clean swimming pools in Lagos and Abuja. Swimming lessons in Lagos ? Swimming is fast becoming very popular in Nigeria even among Weight loss enthusiasts . The best aerobic activity for healthful conditioning, it works all the major muscle groups in the body, and it’s suitable for people of all ages throughout their lifetime. We run swimming classes in the best of swimming pools in Lagos and Abuja.